Collingwood restaurant Easeys features three trains, five storeys above the ground. The top of a five-storey building might not be the first place you’d expect to find three train carriages. But that’s Australia’s hospitality scene for you. 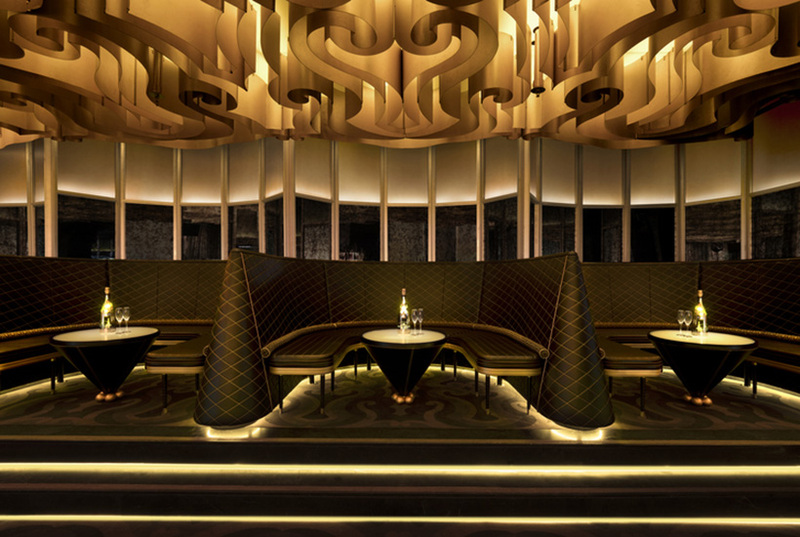 Every year there are hundreds of retailers, hospitality providers and hotels that push the boundary when it comes to design, and many of them are again in the running to be honoured at the annual Eat Drink Design Awards. Here are just a handful of this year’s shortlisted entries. View the full list here. 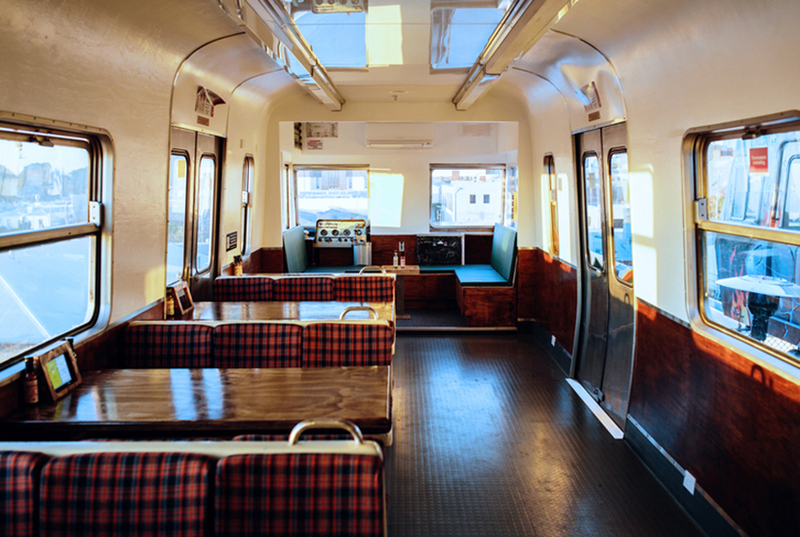 Easeys was built inside three former trains. Yes, those are three former MET trains perched atop a building in Collingwood in inner-city Melbourne. New restaurant Easeys (above and top) took the trio of former public transports and kitted them out as an extremely unique restaurant offering. The trains are renowned Hitachi M Class Motor Cars, and will now forever be a part of the End To End complex, with views out over Collingwood and beyond. 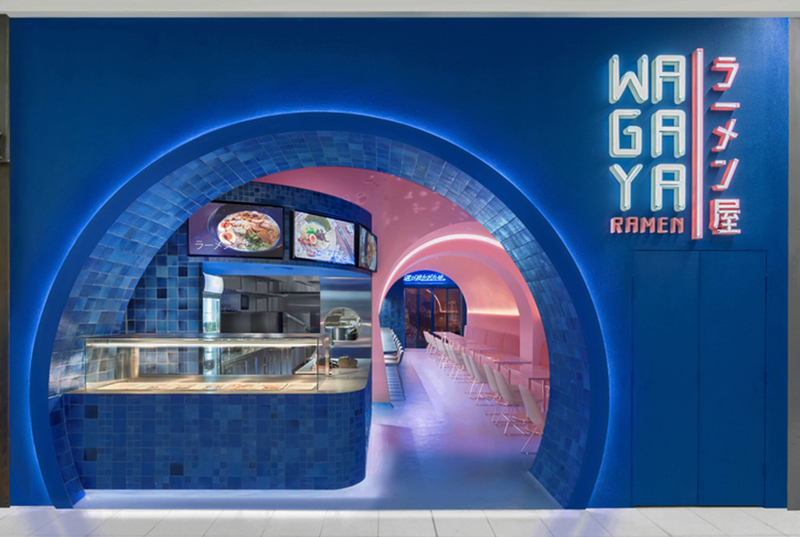 Span Design went over and above for Japanese restaurant Wagaya (above), which sits within the Lidcombe Centre shopping hub. 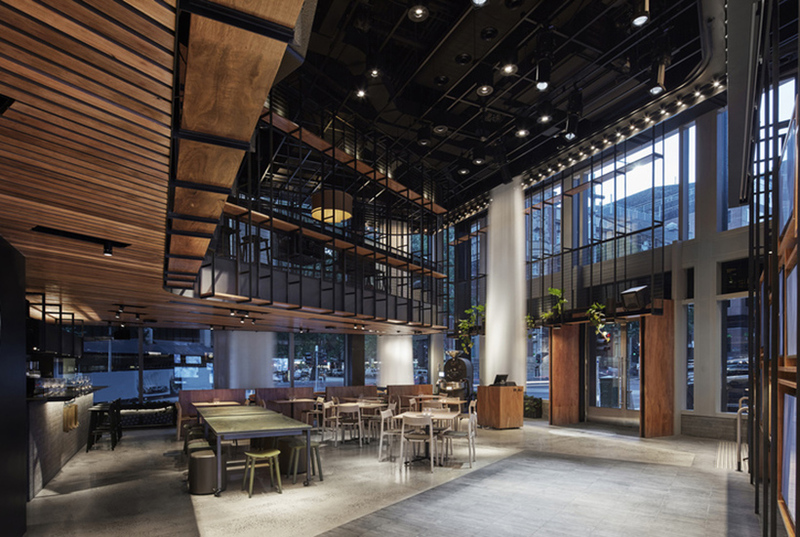 For a simple ramen restaurant, the design stands out with its neon highlights and other elements the designers say were inspired by the foliage of Japanese cherry blossoms. It’s nominated for ‘Best restaurant design’. Chandon’s new cellar door space. You’d expect nothing less from upmarket wine purveyor Chandon when it decided its cellar door offering needed an upgrade. 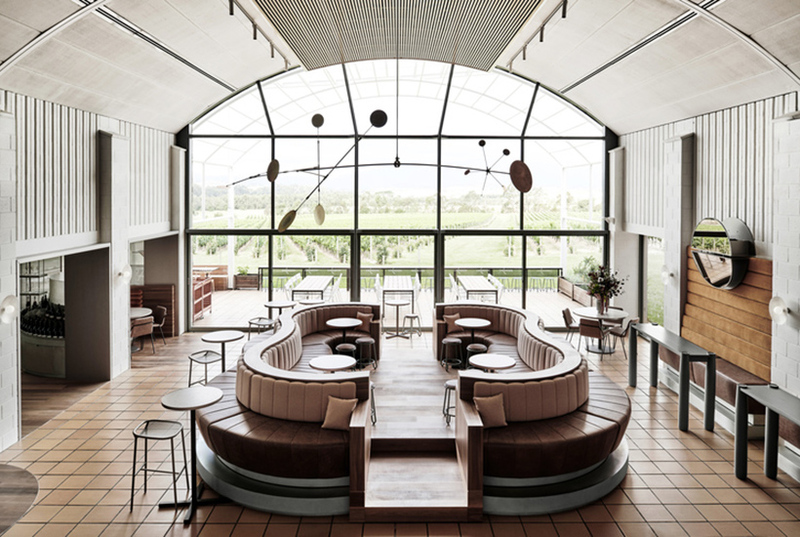 The Coldstream property’s rejuvenation included fresh designs for its bar, dining, tasting and retail spaces, with designers Foolscap Studio taking cues from the surrounding environment. Sydney craft brewery All Hands Brewing House. It’s hard to tell where the bar starts and the brewery ends at Sydney’s All Hands Brewing House – and that’s exactly the way the owners and designers wanted it. 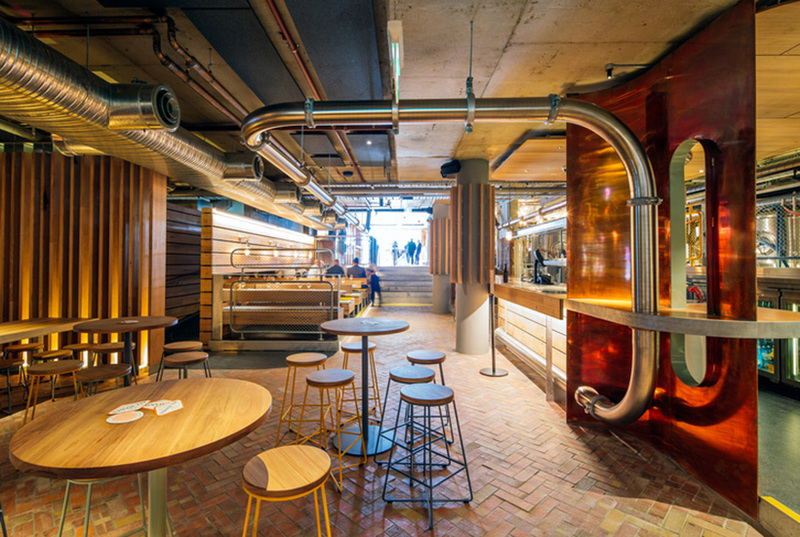 With design inspiration from the area’s maritime roots, and brewing vats that sit just metres from the bar floor, it’s industrial to its core and is intended to celebrate both shipbuilding techniques and the beer-making process. Melbourne bar Baroq House’s plush surrounds. Renowned Melbourne bar Baroq House spared little expense when it engaged designers Hachem for an upgrade. A state-of-the-art sound and lighting concept was just the start of the improvements that have transformed the function space. Melbourne’s Mercedes Me concept store. Nominated for ‘Best retail design’, the Mercedes Me is one of just seven similar concept stores across the world, and is intended to evoke memories of the Mercedes factories of the 1940s and ’50s. Leather, limestone, polished concrete, timber and steel have all been used to stunning effect, along with an abundance of fine steelwork at the Collins St space.